Want to brighten your Instagram feed? Check out Kirakira+, an app with seven sparkle modes to provide an extra dose of twinkle-factor to anything that reflects light on or around you. 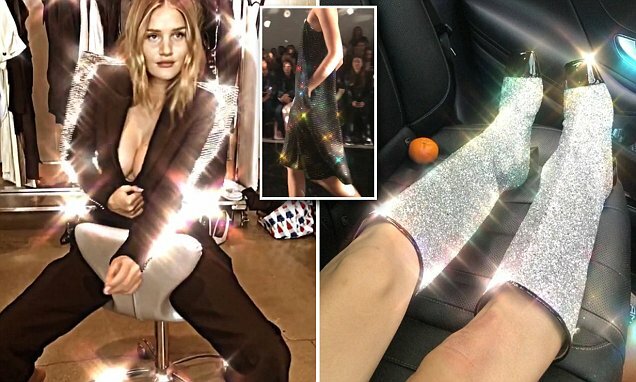 While the app launched in 2015, it recently received a lot of attention during London Fashion Week after Instagram's head of fashion partnerships, Eva Chen, shared a video wearing silver glitter Chanel cap toe boots that was filtered by the app. The app costs 99 cents and is available in the Apple Store for iPhone users. Perhaps dressing with the app in mind, Eva showed off it's full capabilities while strutting down the hallway of a London hotel wearing a 16Arlington sequin pantsuit.